Major General Timothy E. Orr, Adjutant General of the Iowa National Guard, recently announced his retirement beginning on May 1, 2019. He has served as Adjutant General of the Iowa National Guard since January 2009. “In addition, I commend Governor Orr on helping Iowa become one of the National Guard’s cutting-edge leaders in cybersecurity. Whether it was emerging issues or disaster readiness, the General has played an important role in supporting Iowa’s communities. I wish him the very best in retirement and extend my appreciation for his unwavering service on the state, federal and international levels,” Gov. Reynolds continued. Gov. 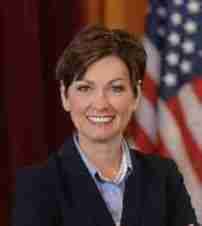 Kim Reynolds also announced that Brig. Gen. Stephen Osborn will serve as the interim Adjutant General. General Osborn, a Davenport native, is the current director of the Iowa National Guard Joint Staff.